NFC to AUS MPs: Contempt from the McContemptible? The Franchise Council of Australia, FCA and it’s Chairman John O’Brien (CEO of PoolWerx Corporation, BTW), is right: Dead right. The NFC seems to be acting AS IF it were the nation’s pique franchising body. When I observe the recent interplay between AUS federal politicians and the NFC (see Franchise Council hits back at critics), I get a little teary-eyed. It just seems like old times. I am reminded of how the Canadian Franchise Association, CFA, dealt with a provincial politician called Tony Martin, who has since moved onto federal politics. They treated Mr. Martin with contempt. Tony and I worked together from 1998 top 2001, trying to get the 1st franchise law for investors in the province of Ontario in Canada. We failed to get a decent one and everything has been frozen since. (see Arthur Wishart Act (Franchise Disclosure), 2000, especially S3 and it’s pathetic, and still undefined and unargued, good faith provisions). What we did succeed at (and in spades I might add) is leave a very interesting paper trail. The Information Sharing Project has collected all of these tasty little documents. Think of it as a www, digital record of very some very stupid comments. Tony become the main irritant to the CFA. As an experienced parliamentarian and the Assistant Speaker of The Legislative Assembly of Ontario, Tony knew the ropes and we used every one of them. As a example, please note Tony’s April 2000 press release below calling the Government of Ontario to investigate or “probe” the CFA. 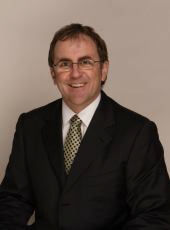 TORONTO – The Consumer and Commercial Relations Ministry should investigate the Canadian Franchise Association over its failure to help Ontario franchise holders, NDP MPP Tony Martin said today. The CFA is advising the Conservative government on proposed changes to provincial laws governing franchise agreements. But the association is under fire from hundreds of its own members for its indifference to their complaints, the NDP Critic for Consumer and Commercial Relations said in the Legislature today. Martin raised the case of Brenda Hope, a mother of two from Coldwater who lost $90,000 as a Chemwise Inc., franchisee. For more than a year, the CFA has refused to look into Hope’s complaints, although it endorsed Chemwise as a member. Similarly, the CFA has refused to accept a registered letter from Bulk Barn franchisees who have a series of complaints against the franchisor. Martin was also refused when he tried to deliver the letter. The Sault Ste. Marie MPP called on Consumer and Commercial Affairs minister Bob Runciman to act now to protect small businesspeople. “Perhaps the minister can convince the CFA to live up to its responsibilities to mediate franchise disputes. If he can’t, we need a full-scale probe of this group. It’s the least we can do for hard-working families who lose everything in dubious franchise deals,” Martin said. The MPP has proposed his own legislation, Bill 35, that is far tougher than the government’s Bill 33. The Martin Franchise Bill would require full-disclosure of franchise contracts, a dispute resolution mechanism, the right to associate and the freedom to source products outside of the chain when not trademark related. This entry was posted on Wednesday, September 17th, 2008 at 7:59 am and is filed under Class acts, Information sharing, McLaw: Make-believe fairness. You can follow any responses to this entry through the RSS 2.0 feed. You can leave a response, or trackback from your own site.